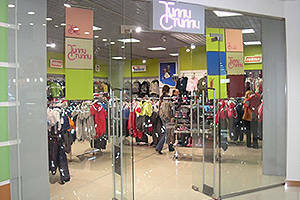 Children’s shops sell clothing and footwear by big and medium retail networks, some of which also manufacture their products. 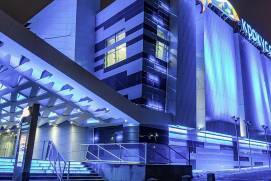 Luxury shops (Daniel, Kenguru and Imperiya Detstva) selling top international clothing and shoe brands are located in central Moscow. 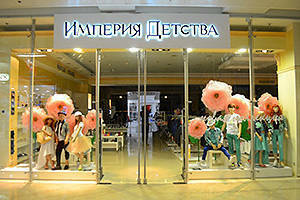 Russian brands for middle classes (Choupette and Gulliver) are available in various shopping malls throughout Moscow. European brands for middle-class buyers (Mothercare, Mamas&Papas, Beba Kids, Kanz and Tilli-Stilli) are available in big shopping malls. 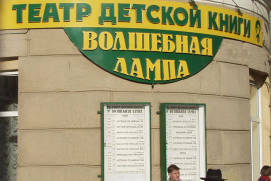 Acoola, Detsky Mir, Dochki-Synochki, Korablik and Detmark belong to medium and economy price segments. 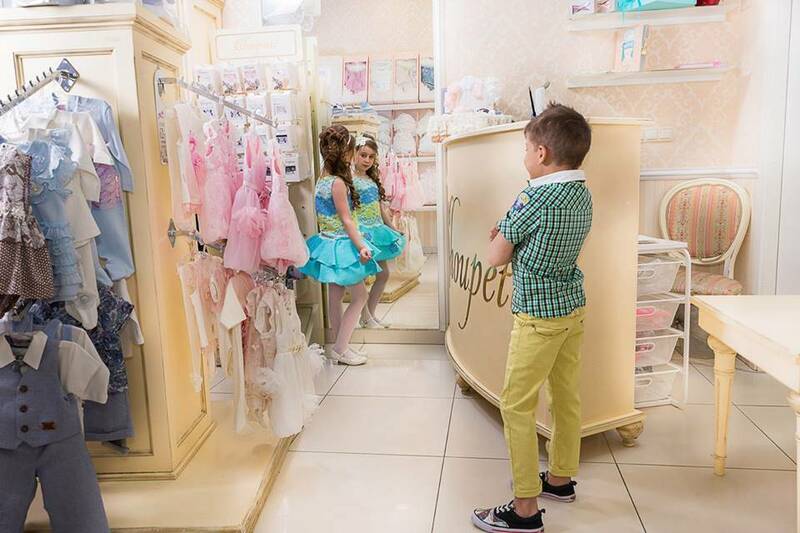 Moscow has a huge number of children’s shops to match every taste and budget. Large and medium-size retail networks occupy the lion’s share of the market, and some of them are also producers. Leading international brand boutiques are located mostly in downtown Moscow, while middle-tier shops, which sell Russian-made children’s products, can be found in shopping malls around Moscow. 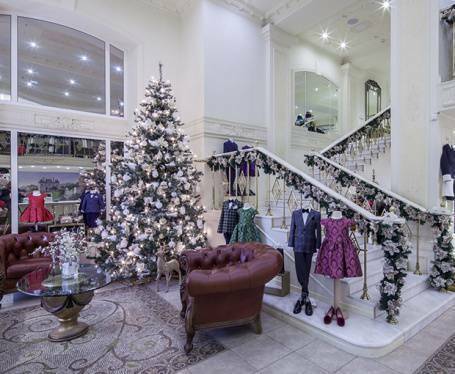 DanielRussian: Даниэль is one of the original companies in the Moscow market specializing in children’s luxury clothing boutiques. The first chain store was opened in 1995. 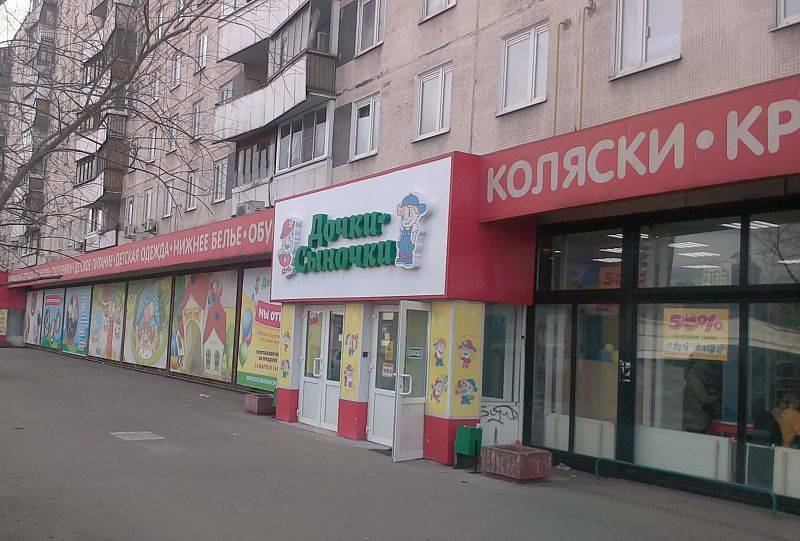 Now, the company owns three boutiques in KutuzovskyRussian: Кутузовский District (9, B. DorogomilovskayaRussian: Большая Дорогомиловская Street), DonskoyRussian: Донской District (22, Leninsky AvenueRussian: Leninskiy prospekt or Ленинский проспект) and PresnenskyRussian: Пресненский District (7, Sadovo-KudrinskayaRussian: Садово-Кудринская Street, next to the Moscow PlanetariumRussian: Moskovskiy planetariy or Московский планетарий. 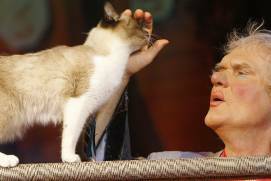 There is also the Daniel DiscountRussian: Даниэль Дисконт Boutique located at 41, Zemlyanoy Val StreetRussian: ulitsa Zemlyanoy val or улица Земляной вал , near KurskayaRussian: Курская Metro Station. 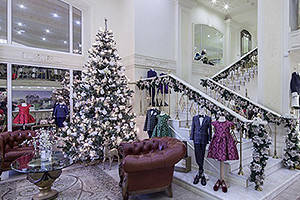 In these boutiques, you can buy children’s clothing by Christian Dior, Fendi, Dolce&Gabbana, Ralph Lauren, Armani Junior, Sonia Rykel and other fashion brands. 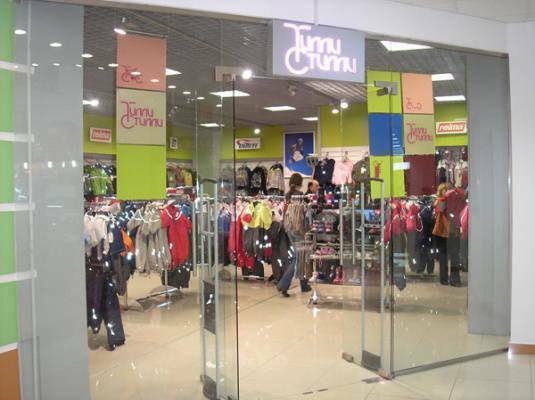 These are clothing retail chain stores for children (they also have a maternity range), selling children’s clothing by Dior, Gucci, Lanvin, Armani, Dolce&Gabbana, Burberry, Moschino, Dsquared, Moncler, Stone Island, Paul Smith and Stella McCartney, among others. 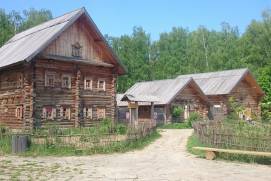 There is a total of 7 stores in Moscow, located in upmarket areas near Krasnye VorotaRussian: Красные ворота (10, Sadovo-ChernogryazskayaRussian: Садово-Черногрязская Street), KrylatskoyeRussian: Крылатское (40/1, Rublyovskoye HighwayRussian: Rublyovskoe shosse or Рублёвское шоссе), RizhskayaRussian: Рижская (73, Mira AvenueRussian: Prospekt mira or Проспект мира) and Park PobedyRussian: Парк Победы Metro Stations (45, Kutuzovsky AvenueRussian: Kutuzovskiy prospekt or Кутузовский проспект). 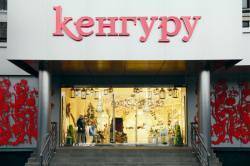 This store network owns two boutiques located in the EvropeyskyRussian: Европейский and RIORussian: РИО shopping malls near KiyevskayaRussian: Киевская and Leninsky ProspektRussian: Ленинский проспект Metro Stations, respectively. The shops’ collections feature fashion clothing by John Galliano, Billionare, GF Ferre, Ferrari, Baldinini, Antony Morato, Aston Martin, Missouri, etc. All age groups and occasions are catered for. 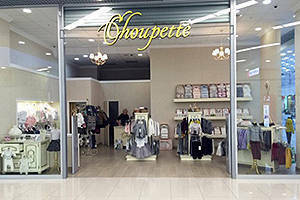 Choupette specializes in selling clothing for children aged 0 to 8 years old, including infant and christening clothes, baby nests, bedding and casual wear. 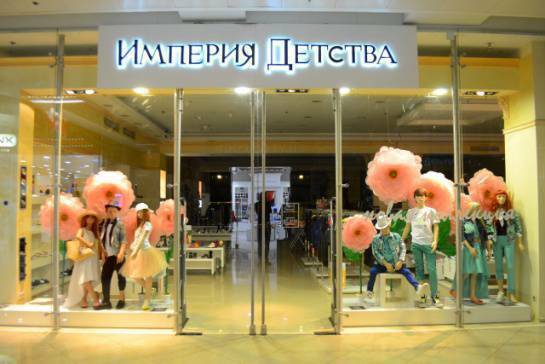 In late summer, Choupette chain stores begin to sell school uniforms sewn in the best of European traditions, taking pride in selling clothing made in Russia. There are eleven Choupette shops in Moscow, three of which sell older children’s clothes, while the others focus on baby clothes. 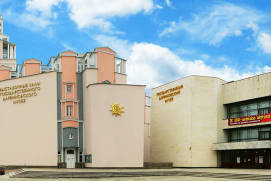 The shops are located in the Central Children’s ShopRussian: Tsentralnyi detskiy magazin or Центральный детский магазин on LubyankaRussian: Лубянка and in a number of shopping malls, including the AviaparkRussian: Авиапарк (PolezhaevskayaRussian: Полежаевская Metro Station), Evropeysky (Kiyevskaya Metro Station), AfimollRussian: Афимолл (VystavochnayaRussian: Выставочная Metro Station) and AtriumRussian: Атриум (Kurskaya Metro Station). 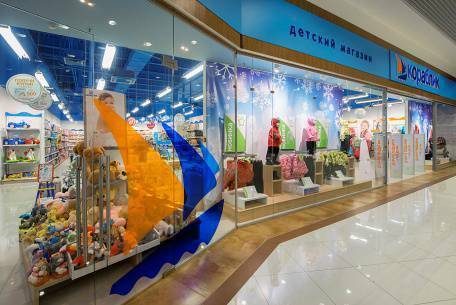 This single-brand Russian store network designs and manufactures children’s clothing and shoes, with 26 shops in major shopping centres in Moscow. 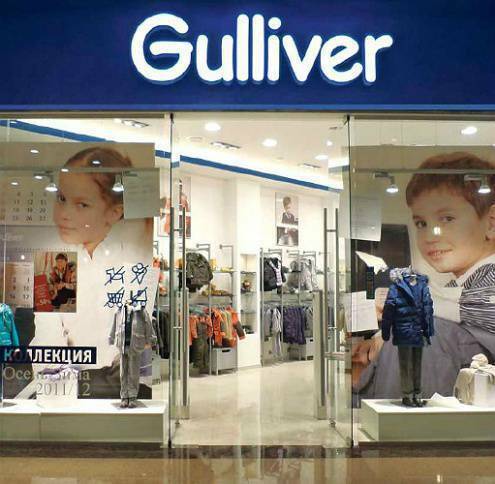 The range of products on offer at Gulliver includes clothing and shoes for children aged 0 to 15 years old, school uniforms and accessories. The brand focuses on building fashionable collections, enabling you to create a whole wardrobe for your kids. The company has been in business since 1997. 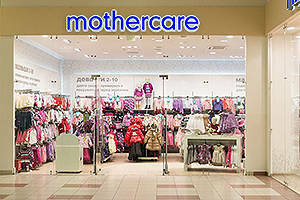 This British brand specializes in selling products for mothers-to-be and clothing for children aged 0 to 10 years old. 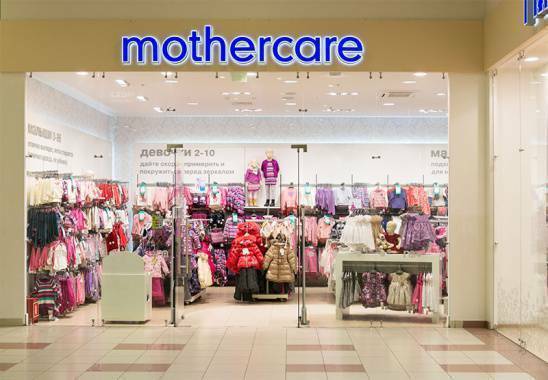 The first Mothercare shop in Russia opened its doors in 1997. As of today, this store network has as many as 52 outlets selling breastfeeding products, strollers, car seats, clothing and shoes. 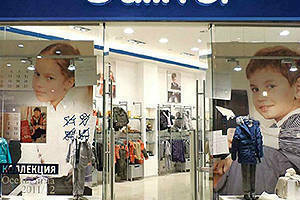 This brand has stores in almost all major shopping malls in Moscow. This is another British brand which has come relatively recently to Russia. 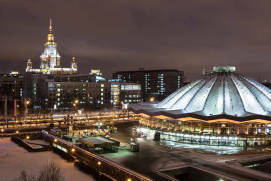 It features five stores in Moscow’s major shopping centres: Evropeysky (Kiyevskaya Metro Station), Rio and Yerevan PlazaRussian: Ереван Плаза (TulskayaRussian: Тульская Metro Station), Atrium (Kurskaya Metro Station) and MetropolisRussian: Метрополис (VoykovskayaRussian: Войковская Metro Station). The product range includes clothing for mothers-to-be (up to clothing size 52), children aged 0 to 6 years old, along with strollers, car seats, bathing accessories, furniture, toys and more. 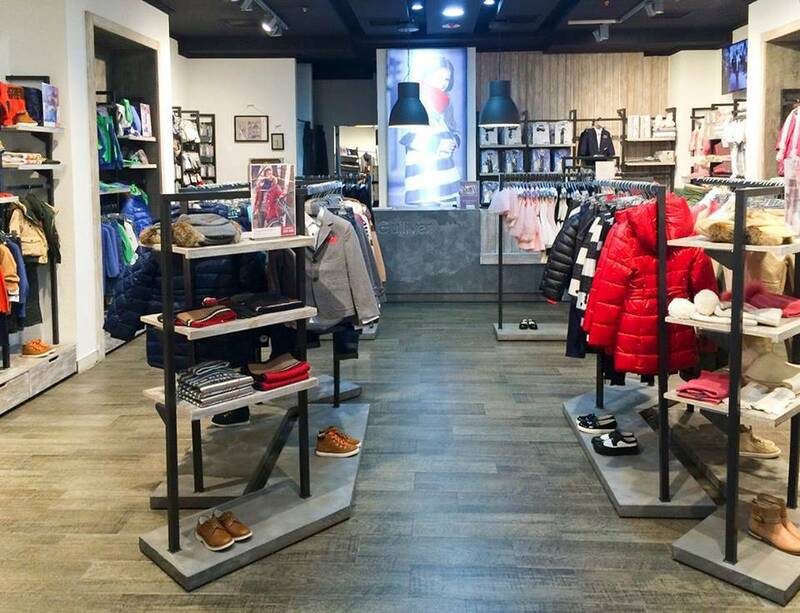 This network of nineteen multi-brand stores in Moscow stocks European brand-name clothing for mid-higher range budgets, notably Italian brands (Street Gang, Artigli, To Be Too, Gaialuna, CR68, Best Band, Byblos, among others). The Russian-made Noble People brand clothing is also stocked here. 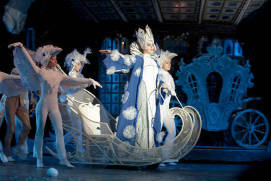 The company has seasonal collections for children aged 0 to 16 years old. 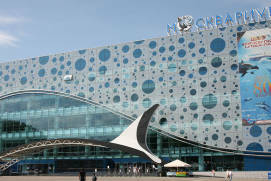 Beba Kids stores are present in many large shopping malls, including Metropolis (Voykovskaya Metro Station), Evropeysky (Kiyevskaya Metro Station) and Afimoll City (Vystavochnaya Metro Station). 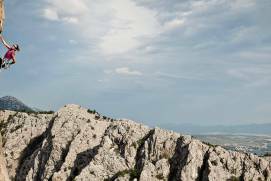 This network, consisting of ten stores, sells clothing and shoes manufactured by German brands such as Kanz, Whoopi, Döll, Vicco, Pampolina, Check In, d-generation and Lemmi. Clothing and shoes are available for children aged 0 to 16 years old, and school uniforms are also stocked before the beginning of the school year. 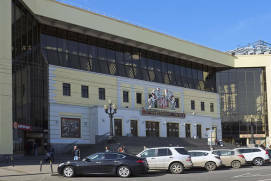 These chain stores are located in the following shopping malls: Central Children’s Shop (Kuznetsky MostRussian: Кузнецкий мост Metro Station), Evropeysky (Kiyevskaya Metro Station), Aviapark (Polezhaevskaya Metro Station), Tyoply StanRussian: Тёплый стан IKEA MEGA, VnukovoRussian: Внуково Outlet Village, LadyaRussian: Ладья (MitinoRussian: Митино Metro Station), Vegas Krokus CityRussian: Вегас Крокус Сити (MyakininoRussian: Мякинино Metro Station), 11 Ordzhonikidze Discount CentreRussian: Дисконт центр Орджоникидзе (Leninsky Prospekt Metro Station) and FestivalRussian: Фестиваль (Yugo-ZapadnayaRussian: Юго-Западная Metro Station). 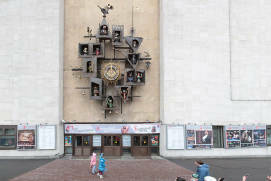 These chain stores sell European brand-name clothing, shoes and accessories for a range of budgets. The brands include Reima, Gusti, Luhta, Lego Wear, Pulka and Brums, among others. 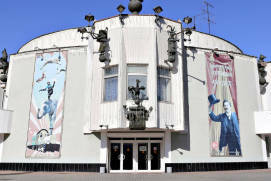 Outerwear, evening dresses, casual wear for children and teenagers as well as various accessories are on sale in stores located in the following shopping malls: Raykin PlazaRussian: Райкин Плаза and Prints PlazaRussian: Принц Плаза (Tyoply Stan), AerobusRussian: Аэробус (ChertanovskayaRussian: Чертановская Metro Station), KaluzhskyRussian: Калужский (KaluzhskayaRussian: Калужская Metro Station), Vegas Russian: Вегас(MKADRussian: МКАД, 24th kilometer, near Kashirskoe HighwayRussian: Kashirskoe shosse or Каширское шоссе ), Rio on Dmitrovskoye HighwayRussian: Dmitrovskoe shosse or Дмитровское шоссе and in NovogireyevoRussian: Новогиреево District. 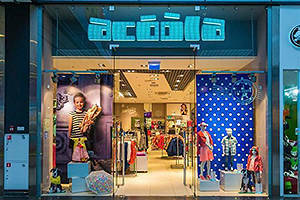 Zara, H&M, Gap kids, Adidas Kids, Next Children and Mango brand names, located in Moscow’s large shopping malls, run their own children’s clothing collections within the same price range. 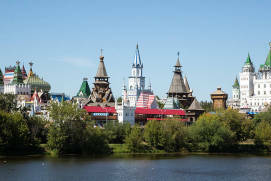 Leisure with children in Moscow – it is not only visiting the great circus Moscow, or walking in the amusement parks. 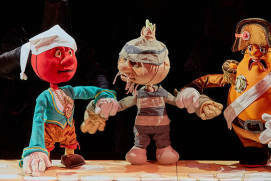 There are beautiful puppet theaters, water attractions, cognitive museums and masterclasses in Moscow. 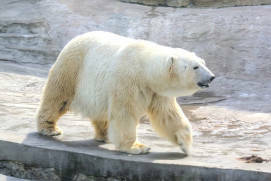 You can learn more about them on our website. 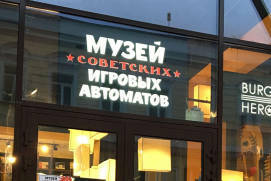 In its six years of existence, this popular Russian single-brand network has opened up to 220 stores, 33 of them in Moscow. 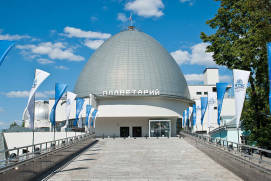 The St. Petersburg-based ConceptGroup Company is working on promoting this Russian brand. Clothes are designed in Russia and manufactured in South-East Asia – they are targeted to children aged 2 to 14 years of age. 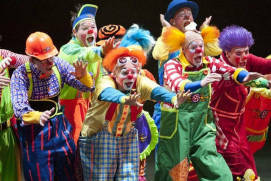 The idea is to create children’s clothing lines in keeping with the latest fashions. The product range includes casual wear, school uniforms and formal outfits, along with accessories, underwear, socks and tights. 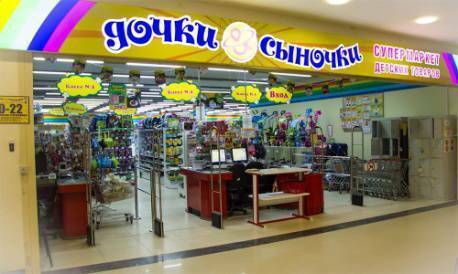 This store network sells children’s products in 161 cities and towns in Russia and Kazakhstan, with 82 outlets in Moscow. 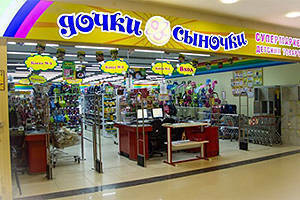 The stocked items include clothing, shoes, books and toys by Russian and foreign producers. The target market are children aged 0 to 14 years old. 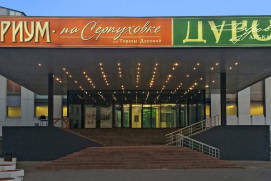 Most major shopping malls have Detsky Mir stores, which are divided into hypermarkets covering some 3,500 square metres, supermarkets, flagship and mini stores. 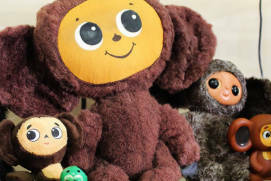 The Detsky Mir Company has its own brand names, such as Futurino (children’s clothing), Favaretti (children’s shoes), Attivo (arts and crafts sets) and much more. 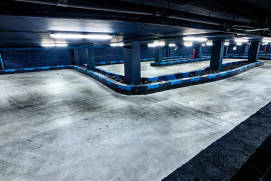 Starting in 2013, this store network has been developing a brand new store design, which is to feature play zones for children. 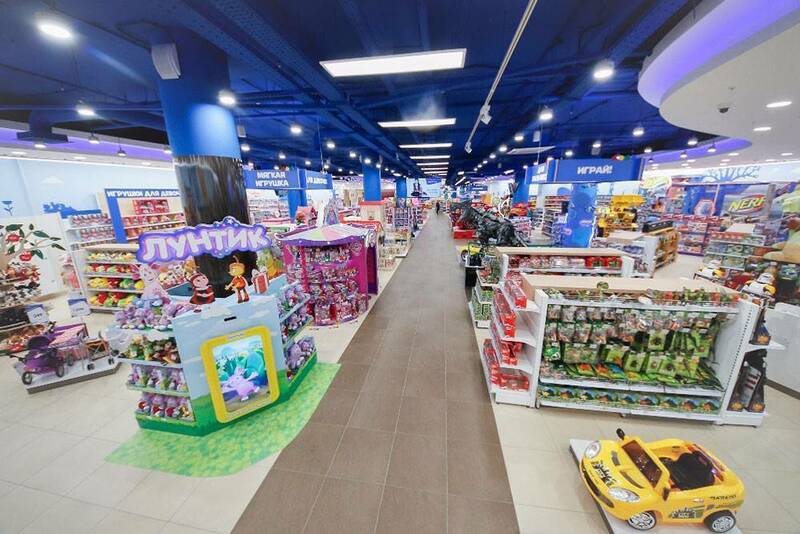 This nationwide store network sells products for children aged 0 to 12 years old. It focuses on inexpensive clothing made in Russia, China and Turkey, while also selling some European brand name products (for instance, Reima). The products include toys, baby food, sportswear, clothing, car seats, strollers, infant beds, bedding and beauty accessories for mothers-to-be, breastfeeding mothers and newborns. 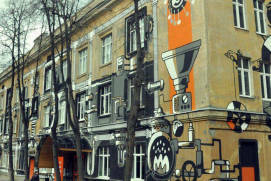 This network has 30 stores in Moscow. 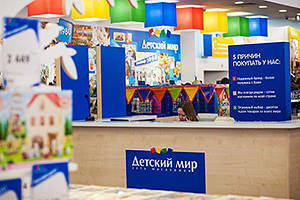 This nationwide network of children’s shops has 51 outlets in various districts in Moscow. Products are intended for children aged 0 to 7 years old and include baby food, diapers, toys, clothing, shoes, infant beds, strollers and more. 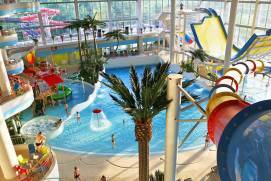 The stores feature changing stations and children’s areas where the little ones can watch cartoons which are played on a repeating loop. 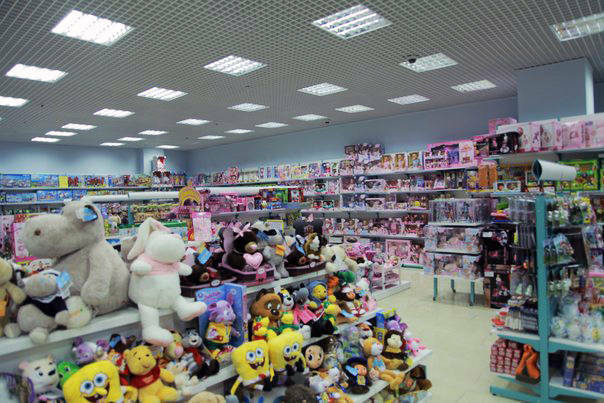 This is a relatively small network of children’s shops, targeting children aged 0 to 7 years old. 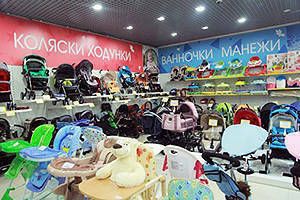 Its nine stores sell products made in Russia, China, Turkey and Europe.